If I could describe reading Ashley Hay’s The Railwayman’s Wife briefly, I would say that it was like going on a journey of the soul. One year in the life of a widow, trying to make sense of a world that took her husband away from her, learning how to navigate life in an unfamiliar way, and discovering new facets about herself. It is about love and loss, and finding oneself again after your whole world has crumbled. The protagonist, Anikka Lachlan – Ani – goes through quite the transformation. In the beginning of the novel, Ani is content with her life as a wife, a mother, a homemaker. She is a voracious reader, frequently getting lost in the pages of a book, but her life is calm, relaxed. There is a ‘stillness’ about her. She’s careful in her actions, always holding back as though she’s afraid that someone will notice her, afraid to let go and live in the moment. Unlike her husband, Mac, who we get to know – both through Ani’s memories and individual chapters – as a man who isn’t afraid to let life grab a hold of him and lead him. She is docile with him, complacent. After his death, Ani has no choice but to reinvent herself, and by the end of the novel, she is able to act carefree, doing cartwheels on the beach and actually wishing for an audience. Ani is not the only character that we see go through a transformation. Roy McKinnon and Frank Draper return home three years after the end of WWII changed men. Before the war Roy had been a teacher. He is also a poet, having published a poem while he was away. Roy walks around aimlessly searching for something to write about, discouraged by his inability to write in a peaceful setting, until he befriends Ani, finally finding the inspiration that he needs to write again. As a doctor, Frank saw a lot more death than he could have imagined while he was away and felt helpless to stop it. It is only after he resumes his relationship with Roy’s sister and gets to know Ani that he is able to start enjoying life again. It only took me three days to read this and I distinctly remember two times when it brought me to tears. The first was after we learn of Mac’s death, and the second when something completely unexpected occurs. The novel is full of beautiful prose and descriptions, and teaches you that life does not end with death, that sometimes it can be reborn. 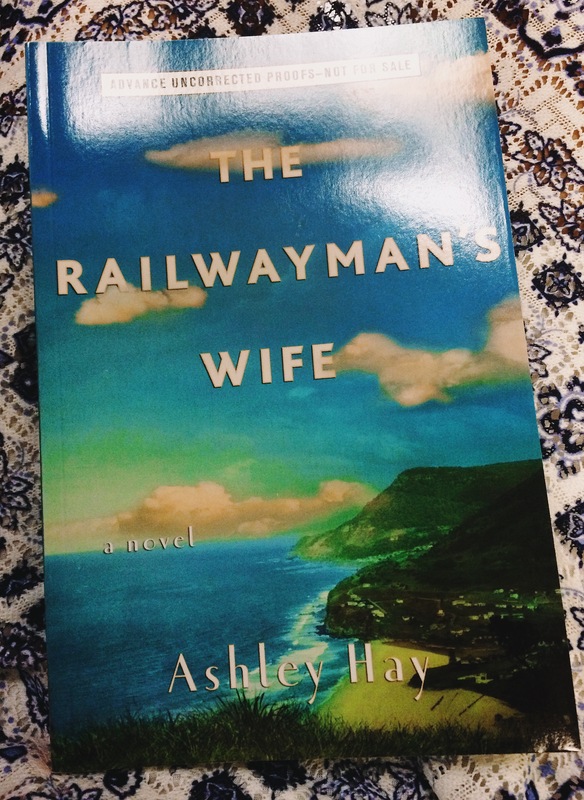 The Railwayman’s Wife by Ashley Hay. Coming April 2016. Atria Books.